We can already hear the right-wingers screaming. 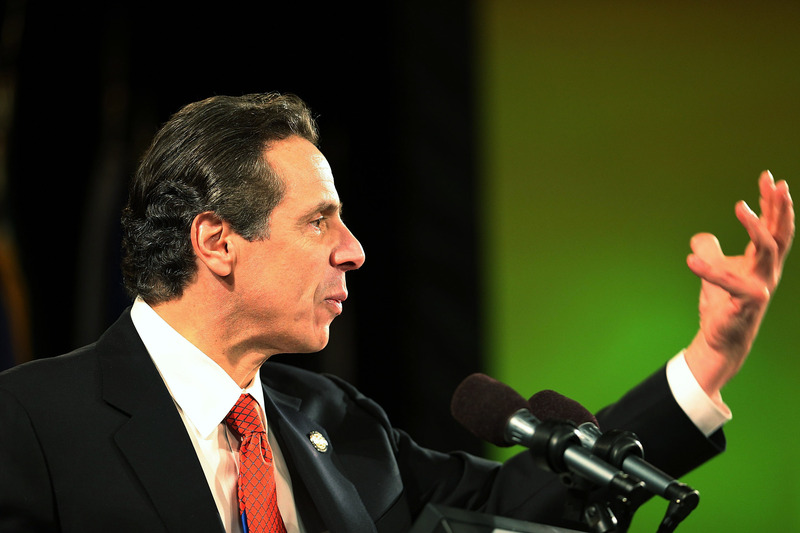 On Friday, New York governor Andrew Cuomo sat down with Susan Arbetter on "The Capitol Press Room," and made some inflammatory comments about "extreme conservatives." The most salient of these remarks that that conservative citizens who are pro-life or anti-gay "have no place in the state of New York, because that's not who New Yorkers are." The backlash wasn't helped by Cuomo's criticism of an ideological split within the Republican Party, which, according to Cuomo, pits a camp of more extreme Republicans against the more moderate members of the party. The gridlock in Washington is less about Democrats and Republicans. It’s more about extreme Republicans versus moderate Republicans… You’re seeing that play out in New York... Their problem is not me and the Democrats; their problem is themselves. Who are they? Are they these extreme conservatives who are right-to-life, pro-assault-weapon, anti-gay? Is that who they are? Because if that’s who they are and they’re the extreme conservatives, they have no place in the state of New York, because that’s not who New Yorkers are. If they’re moderate Republicans like in the Senate right now, who control the Senate — moderate Republicans have a place in their state. George Pataki was governor of this state as a moderate Republican; but not what you’re hearing from them on the far right. We know Cuomo to be a pretty liberal guy: He wants to increase minimum wage even more; is on board with implementing the Roe v. Wade decision into New York law; and recently took an executive action to legalize medical marijuana. But to suggest that the far-Right is unwelcome in his state is a very strong statement, and conservative citizens have not taken kindly to what they perceive to be a request to get out of the Big Apple. It's not clear if Cuomo is criticizing all anti-abortion, pro-assault-weapon, anti-gay conservatives, or only extreme conservatives who share those views. Though it's well-established that there are cracks in the Republican Party between the unmovable GOP and the party's more moderate members, the distinction between the two factions is not quite as clear-cut as Cuomo suggests. And you can bet conservative groups weren't amused, either. Dennis Poust, director of Communications for the New York State Catholic Conference, was one of them. Now, some people are taking to Twitter to declare that Cuomo is entirely anti-conservative, and wants non-liberals to leave New York right now. And a closer look at the transcript reveals that Cuomo was, on the whole, a lot more reasonable than the headlines would seem. 70% of this state wants intelligent gun control. 'We don’t agree with gay marriage, we are anti-gay,' that is fine but 70% of this state about, is now pro-gay marriage so figure out who you are and figure out if you are of a extreme conservative philosophy and if you can survive in this state. And the answer is no.